In Silver Boomers, we began as a partnership principally of silver-haired Baby Boomers and invited others of our ilk to remember our lives. We began the two unique features of these anthologies of a crawl line (beginning with the birth of the first Baby Boomer in 1946 and ending with the first Boomer to receive Social Security, with all the pages of the book being part of a continuing block of text telling of our generation and the turning point events and people) and a poem at the end by the “quartet” of four editors. Freckles to Wrinkles expanded the age range as we accepted contributions from authors older than we as well as those born after the end of the Boomer age, 1964. Again, the contributions were poems and prose pieces telling of our lives from childhood freckles to the wrinkles of aging faces and hands. This Path expanded the scope as we looked back from decades into our lives but included children looking ahead to the future. Few of us could have foreseen at age 10 or 20 where we’d end up at 40 or 50. The subtitle of From the Porch Swing says it all: memories of our grandparents. Like the other anthologies, we had worldwide contributions so our memories differed but were startlingly similar. How did you learn to love reading and books? 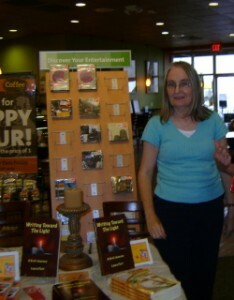 Like many of our authors did your history involve Flashlight Memories as you hid under the covers at night? The memories of our service men and women and their families and powerful and poignant. 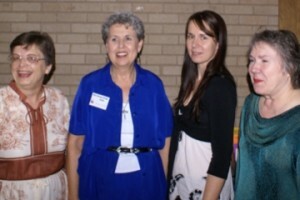 It was our pleasure and privilege to allow some of these wonderful people to share their stories. and to bring these to our readers. Our original partnership of four had ended by the time we published the last three anthologies, and we had guest editors who added greatly to these three. 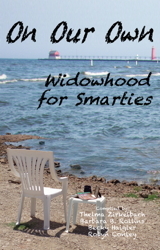 On Our Own – Widowhood for Smarties meets a need and is a great gift for those new to the pain as well as those looking forward to life, different. 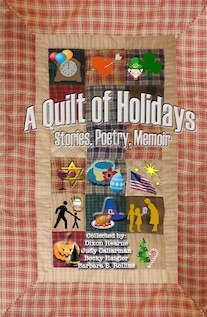 A Quilt of Holidays is just that. A patchwork of days, major holidays and days we notice on some calendars. Labor Day, Flag Day, Passover, Christmas…and many more. Waiting for hours in a dentist’s office or for months beside the bed of a love one, waiting elongates time. 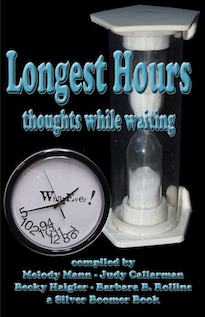 But it passes more easily with Longest Hours – thoughts while waiting. Let’s use ten of the obliques to figure out what the next anthology should be. I’ll be looking at my list of obliques and selecting ten, at random I hope, to come up with suggestions for the next anthology. You can do this, too! Or just use one or two, or suggest an anthology without dealing with obliques. The comment box awaits your answers.